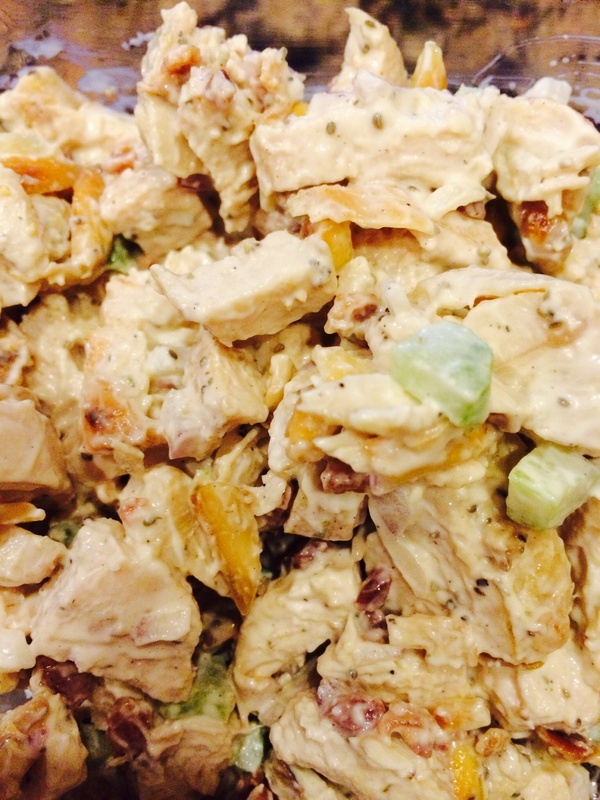 I love chicken salad so I spent a lot of time looking for a great low-carb recipe. This one is great and comes from djfoodie.com. The serving size is 4 and it has 3.79 grams net carbs. Please note that the highest carb count item is the almonds so if you want lower carbs, cut the amount of almonds. MIX the stuff in a bowl! We put this on toasted low-carb bread for lunch. It would also be great on lettuce or just as is!! !